Hrithik Roshan starrer ‘Super 30’ was helmed by director Vikas Bahl but after the #MeToo allegations against him, he was dropped from the movie. Bahl is now not part of the movie and the post-production work is still pending. The release date has also been delayed. Earlier, it was set to release on January 25, 2019. 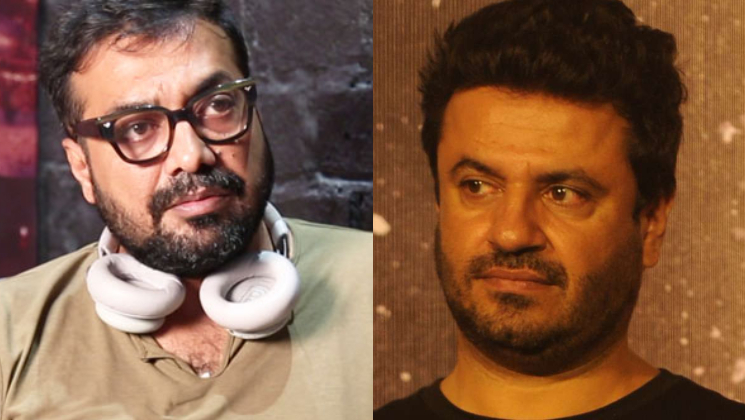 As per a report in HuffPost India, Anurag Kashyap will now look after the post-production work of ‘Super 30’. Also, there were reports that Kabir Khan will be taking the director’s seat for the movie but he denied the news. Confirming the news to HuffPost India, the ‘Manmarziyaan’ actor said, “At the moment I am getting ‘Womaniya’ (another production) started, but yes, I will be overseeing the post-production of ‘Super 30’.” Anurag said that he won’t be taking any credit for his work in ‘Super 30’. For the unversed, founders of Phantom Films – Anurag Kashyap, Vikramaditya Motwane, Madhu Mantena and Vikas Bahl dissolved the production house last year after seven years of having a glorious run at the box office. It was owing to the sexual assault allegations against the ‘Queen‘ director’. Talking about ‘Super 30’, the movie will now hit the screens on July 26, 2019.